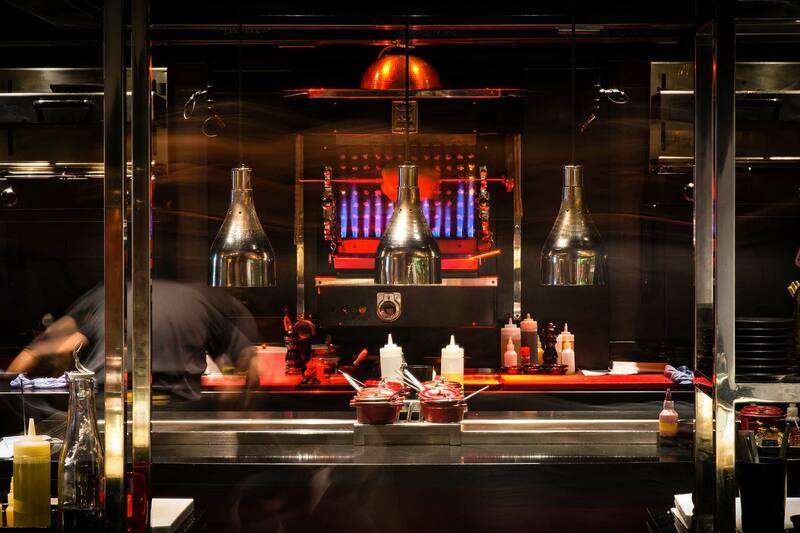 L’Atelier de Joël Robuchon’s Japanese-inspired counter concept has won plaudits worldwide. A stylish Indian Rosewood counter, sourced from Canada, surrounds the kitchen to give diners front-row seats. 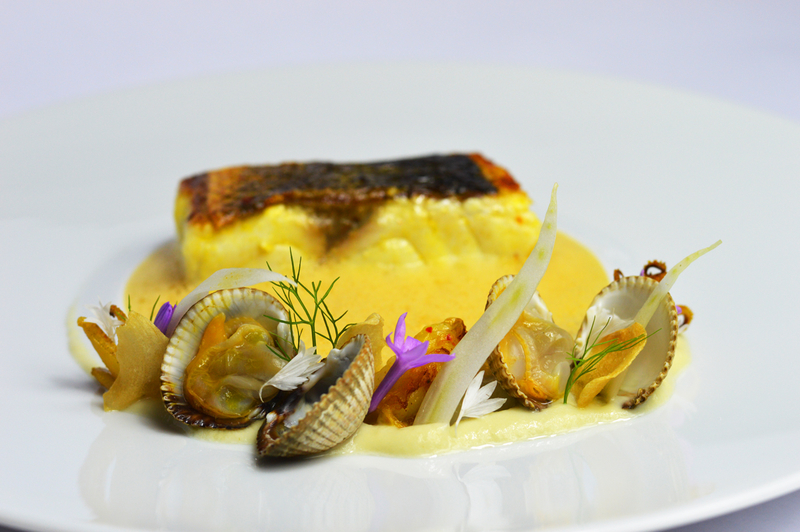 Senses are aroused as head chef Jeremy Page and his team create modern French classics before your eyes. Interaction is welcomed and dishes - in large or tapas-size portions – are often prepared to diners’ specifications. Of course, you may choose to simply sit back and enjoy the spectacle. Whether participating, observing or attending to a companion, you can look forward to an exciting combination of flavours, textures and quality ingredients. 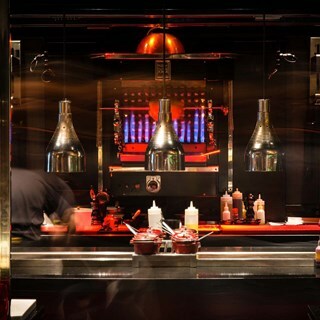 Atelier Robuchon is part of the ever-expanding empire of Joel Robuchon, the French master chef. When he was cooking at Jamin in Paris, and later at Robuchon when he moved premises, he was producing as good food as has ever left a kitchen, and was elected “Chef of the Century” by Gault Millau. 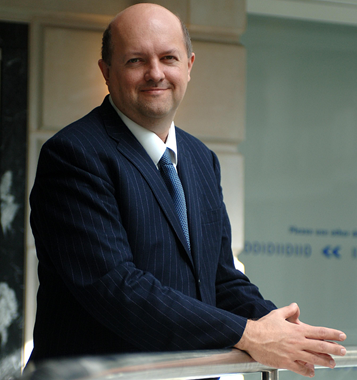 At the age of 50 Robuchon hung up his chef whites and turned to business, opening a series of restaurants, from Robuchon Galera in Macau to Atelier Robuchon in Paris. The latter, modelled on Japanese counter dining but with classical French food, has been rolled out from country to country, with branches in Tokyo, Hong Kong, Taipei and elsewhere. The décor is always a similar style: red upholstery, a central open kitchen with counter and a few tables around the side, The London branch opened in 2006 with head chef Olivier Limousin, who trained at Taillevent, l’Ampychlès and Le Bellecour. 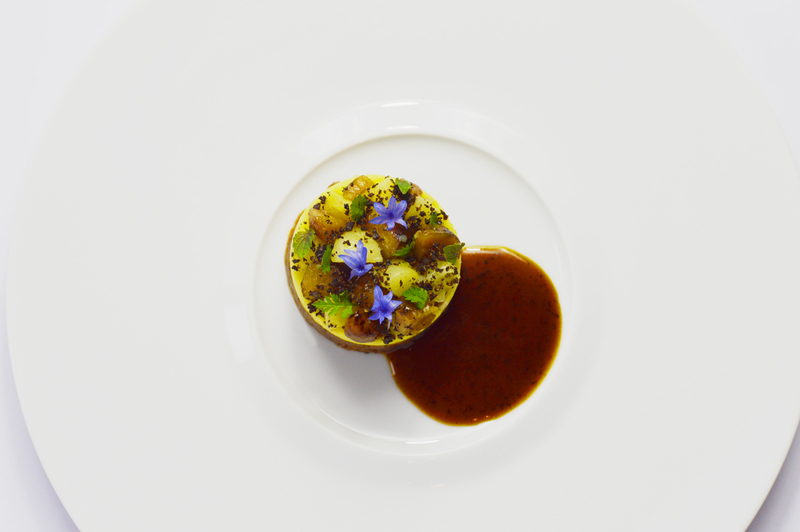 In early 2014 he was replaced by Xavier Boyer, who had worked with Joel Robuchon with over a decade. 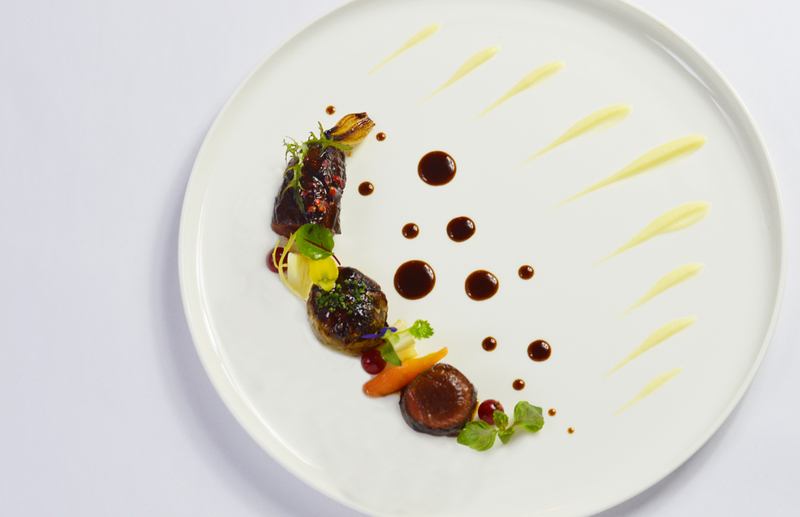 He was previously head chef of the Atelier Robuchon branches in New York and Taipei. 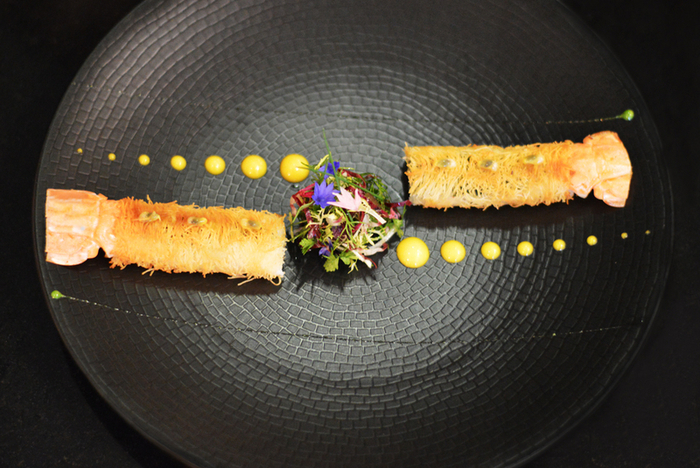 There are various menu options, but if you opt for a la carte you are encouraged to eat three starters per person (these are “tapas” style portions) and a main course. This approach means the bill swiftly adds up, as the tapas are each quite fully priced. A tasting menu was £129, and there was a restricted choice three-course lunch for £33. The wine list spans the world, with wines from Greece, Slovenia and even Japan. The mark-up levels match the global scope. Bernard Fouquet Aubuis Cuvee de Silex Vouvray 2011 was £38 for a wine that you can find in the high street for around £12, Leeuwin Estate Prelude Chardonnay 2008 was £84 for a wine that retails at £24, and the mark-ups showed no relief at the premium end of the list, with Vega Sicilia Unico 2000 at a hefty £750 for a wine that you can buy in a shop for about £216. Foie gras royale with port wine reduction and Parmesan foam was a little amuse-bouche served in a shot glass, rich but very enjoyable, the hint of Parmesan working well with the liver (16/20). Iberico ham (at a meaty £31) was pleasant enough, though not cut very precisely, served with bruschetta topped with tomatoes. Mackerel tart (£19) had good pastry but surprisingly tasteless mackerel, correctly cooked and pretty to look at, but suffering from ordinary quality mackerel; this was topped with olives and Parmesan shavings (15/20). Better was black cod (£19) with daikon and yuzu mousseline, the cod delicate and the yuzu providing just the right level of acidic balance (17/20). Langoustine ravioli (£16) were well made with the pasta having pleasing texture, the langoustines having good but not dazzling flavour (16/20). Veal cheek confit was flavoured with oriental vegetables and spices; the spices were nicely controlled though for me the veal cheek was a little dry (15/20). I preferred quail (£29) stuffed with foie gras, the quail carefully cooked and the foie gras not overwhelming the delicate flavour of the bird (17/20). Passion fruit soufflé (£24) was reasonable but not great, the texture not as light as some, and for me a little lacking in passion fruit intensity, though a coconut sorbet with it was excellent (15/20). Better was a chocolate sphere (£18), onto which was poured a caramel sauce and garnished with almonds, served with cognac ice cream: a lovely, rich dish, the chocolate sphere pretty and delicate (17/20). A selection of tarts (£14) were also very good indeed: lemon, chocolate with coconut, caramel and coffee, and finally pistachio and raspberry. The pastry with these was excellent, the fillings nicely balanced e.g. the lemon tart was not too acidic (18/20). Service was polite but not particularly impressive: water was topped up haphazardly, and when we finished the meal no one bothered to say goodbye. Acceptable in a pub, less so in a restaurant to which Michelin have granted two stars. This meal was a little better than my previous one here, and I can certainly see how it is worthy of a star, but the second star seems generous to me. The menu pricing is consistent with a formal two star experience rather than a casual meal at a counter. Thank you so much we have a wonderful time and look forward to come back at Mayfair. A special thanks to Nabil who was so kind with us. Sorry to learn you are closing, but I will be back in your new incarnation in Mayfair. All the best to your fantastic team. Nous avons dégusté un menu pré-théâtre et nous n'avons pas été déçu! Les plats étaient excellents, l'équipe du restaurant très agréable et malgré notre timing un peu serré (1h), nous avons eu le temps de profiter de ce menu. The best food ever, best service friendly staff. Very sad that it was my last lunch in this wonderful place. Thanks you very much for this lunch. The food was delicious, the service was really good and overall my friends and I enjoyed visiting you very much. It is my second time, and I’ll definitely come for the third next time I’m in London. Had a wonder evening last night my mother ate here as well a few month back and we both absalutely loved it...so sad the concept is coming to an end Joel was the man!!! Atmosphère très agréable et feutrée. Très belle soirée, le personnel très compétant, et convivial. It’s great, my colleagues from across Europe were all very pleased! Nous avons eu la chance de pouvoir manger face aux cuisines comme demandé et ce fût une très belle expérience. Le personnel est attentif sans être trop invasif. Le restaurant en lui même est agréable et la décoration inspire la sérénité. On devine tout de suite que l'expérience culinaire sera emballante. Le repas en lui même était succulent, surtout la caille. Quel régal! Cela donne envie de revenir et de tester les plats à la carte pour prolonger le plaisir. Excellent value, the food was devine. Attentive staff. Definatly recommended. The food was outstanding and watching the kitchen work was fascinating. A true gem. Excellent !! What an amazing service! The person attending our table was very observant and ensured we were never without food or drinks. Great experience, I am pleased that I chose to come here to celebrate Mother's Day with my partner. She loved everything about the restaurant. A perfect mother's day treat!! Amazing service and great chat with the chef! We enjoyed one of the best possible dinners on March 29.